Entry level accounting cover letters are frequently written by recent graduates of accounting programs. The two downloadable entry level accounting cover letter samples that will be featured in this article will demonstrate the way that someone just entering the field will want to illustrate their skills and experience in order to secure a job interview. Generally, candidates new to the field will want to mention their capacity to monitor accounts receivables, administer payroll, and assist with whatever accounting functions that the executives and managers require of them. If you have not held a job yet, you can include internships and coursework experience. Having graduated in May from Texas State University with a bachelor’s degree in accounting, I was very happy to see your company post a job advertisement for an entry level accountant on their career development website. In addition to my formal education, I would be bringing my previous internship knowledge to your accounting team courtesy of the year-long intern program I completed at Austin Recycling Corporation. Both my previous professors and former supervisors at Austin Recycling Corporation can verify my ability to understand and apply accounting principles. During my internship, I regularly checked invoices to make sure that they matched up with the purchase order. I also performed a number of data entry tasks, such as entering in the invoice amounts into the computer system. While working under the supervision of the account manager, I opened and reconciled accounts. When the company underwent an internal audit, I assisted in the gathering of all of the documents necessary. I gained hands-on experience in billing invoices, handling petty cash, and accounts payable during the internship as well. During my internship, I was able to suggest areas of improvement in which the company could reduce their expenses. My suggestions ended up saving the company $300,000. I also made suggestions for the improvement of their internship policy, and my suggestions led me to being able to rewrite their internship manual for use in the company’s future. Thanks to both my educational background and my professional expertise, I have a thorough understanding of software relating to accounting, databases, and spreadsheets. I also have a background in computer science and am skilled in Apple and Microsoft products. My organizational skills are exceptional, and I have a strong sense of integrity when it comes to providing the best accounting practices for my employer. I feel that my knowledge and internship experience make me qualified for the entry level accounting position that your company has open. As a potential employee, I would bring dedication and the desire to grow with your company. Please contact me through my provided phone number or via my email address in order to schedule an interview that will allow us to further discuss my ability to serve your company’s accounting department. It was with great interest that I noticed Tasty Soda Production Inc. advertising a job opening for an entry level accountant in the June 25th edition of the Tampa Employment Times. Tasty Soda Production Inc. has a reputation for being one of the most outstanding employers in our area, and it is a team that I definitely wish to join. I completed my bachelor’s degree in June of 2016 and since then, I have worked as an junior level accountant at Eva’s Seaside Resort. With my hands-on experience, I believe I would be a considerable asset to your company. 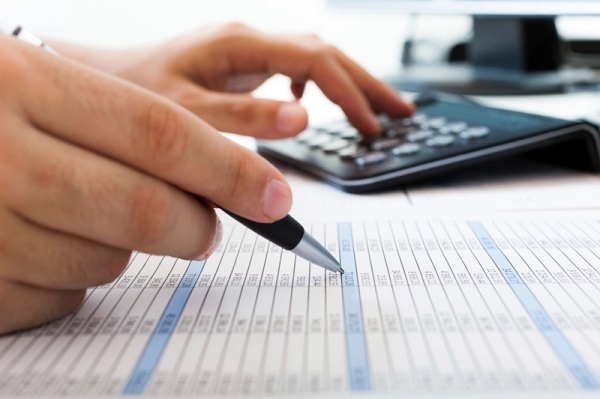 In my present position, I provide accounting assistance to accounting managers and senior level accountants. Some of the tasks that I perform on a daily basis include accounts receivable and accounts payable. I also prepare a number of financial reports and make sure they are both accurate and comply with all state regulations. Typically, I oversee invoices and examine interest charges on clients’ accounts. While working at Eva’s Seaside Resort, I have been able to positively affect the efficiency of the company by suggesting changes in the computer software that we use to keep track of our invoices. Since implementing that change, our unpaid invoices have decreased by 33%. I’ve also had the ability to supervise one of the interns from Tampa State University while she completed her program at our company. Through my experience working as a junior accountant, I have greatly increased my understanding of accounting procedures and principles. My mathematical abilities and organizational skills are also quite advanced. My attention to detail, my accuracy, and my ability to effectively communicate make me a valuable member of the accounting team. I am also always willing to learn new things, and work well independently. I am very excited at the prospect of working for Tampa Soda Production Inc. With my background and demonstrated ability to contribute to the existing accounting team, I believe that I will make an excellent addition to your staff. If you would like to arrange a meeting in order to discuss my potential contributions in greater detail, please contact me via email or by phone so that we can discuss a time for an interview. The best trick to writing an entry level accounting cover letter is to view the cover letter as a way to demonstrate to a potential employer that you have the basic skill set needed to perform the job. Although it is an entry level position, your employer won’t be spending time training you in how to perform basic accounting tasks. You’ll also want to demonstrate that you can grow in the position to become a long-term valued employee. Please share any additional insight you have into what makes an entry level accounting cover letter stand out to employers with us.